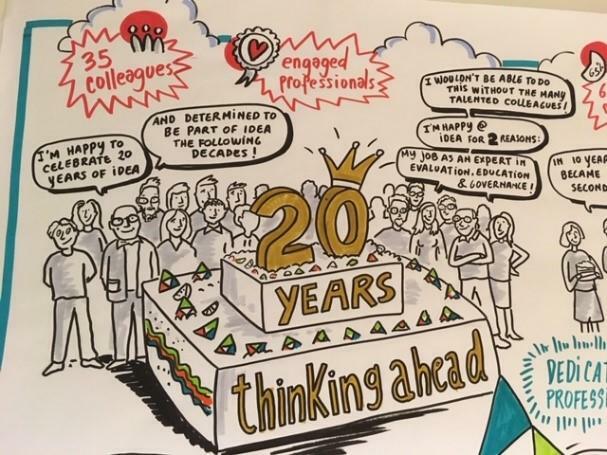 At the end of November 2018, we celebrated 20 years of IDEA, together with employees, directors, alumni, customers and partners. It was fun, but certainly not a reason to be complacent. IDEA 2021 brings new plans to the table. IDEA's DNA is still true to form: all attention is focussed on creating additional value. Together, IDEA Consult, MONDEA and Value Partners, support clients from analyses, over policy and concept development to implementation and in-house management. Society and organisations change rapidly. The IDEA Group has a complete service package for public and private organisations who want to be leading in our complex and volatile world. Within the IDEA Group, IDEA Consult, MONDEA and Value partners complement each other in building innovative strategies and concepts with clients and bring them in to practice. Value Partners, as the real estate branche of the group, develops future-proof living environments, from the very first stages to implementation. They focus on inner-city environments and specialize in retail.